Remember that the first Sunday of each month is “Food Pantry Sunday.” Please bring non-perishable food items and place them in the wire basket in the Church Street entrance foyer. Food pantries are usually running low on supplies after the holidays. On-going food bank needs include: Canned meat/fish, pop-top individual serving items, fruit cups, breakfast/snack bars, peanut butter & cheese crackers, bottled water, individual size toiletries. 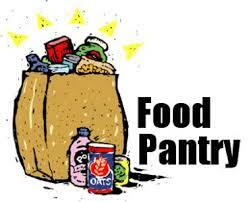 All food is taken to the local St. Vincent’s House Food Pantry for local distribution. Ruling Elder, Susan Wittjen will be preaching Sunday, December 27th in the absence of Pastor Ed Wolf. Join us on Christmas Eve as we celebrate the coming of the Christ Child. A Children’s Service at 4 PM and a Candlelight Communion Service at 7 PM, child care is provided. Come as you are to Galveston’s First Church!